Following hot on the heels of the Skeletor Life-Sized Bust announcement, Pop Culture Shock Collectibles are proud to offer the skull-faced-one’s nemesis; He-Man. 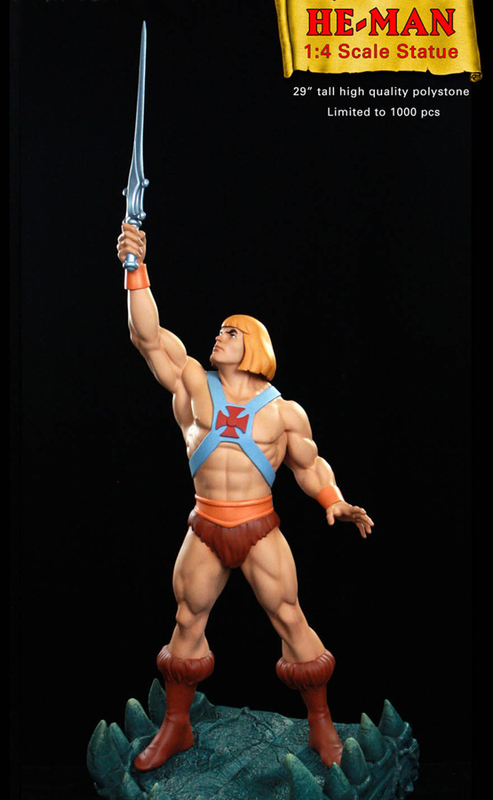 This long requested hero joins the ranks of other PCSC warriors in stark and stunning cold-cast polystone. 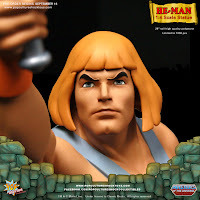 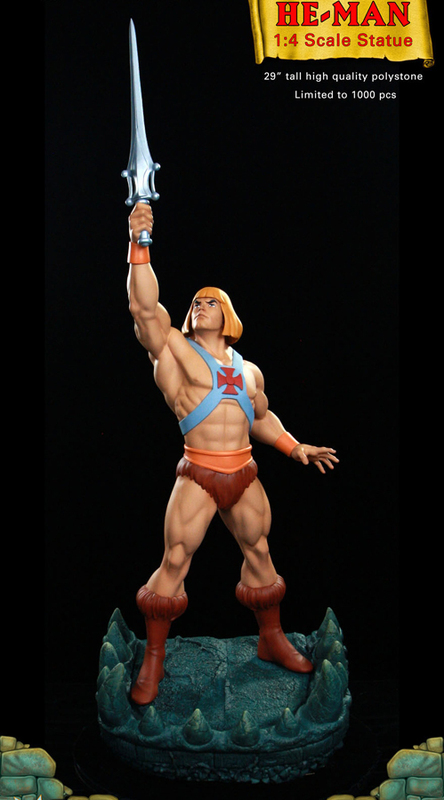 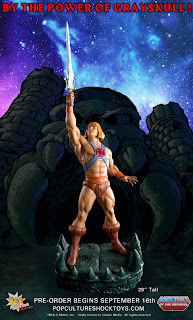 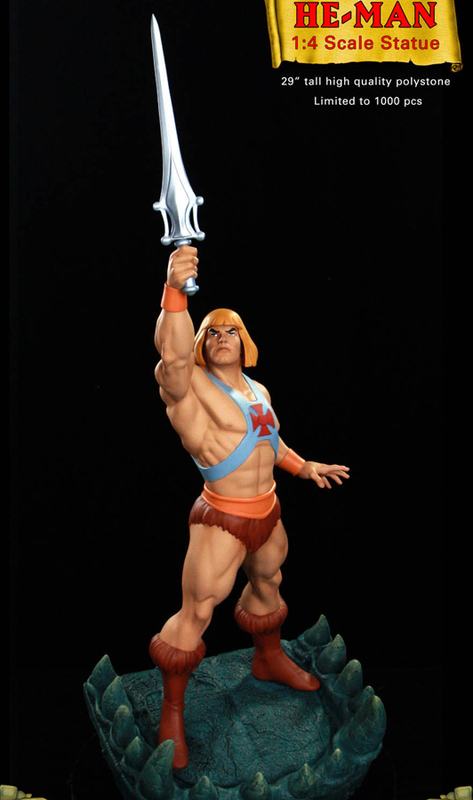 The alter-ego of Prince Adam is rendered as he appeared in the Filmation animation, standing atop a Castle Greyskull base. 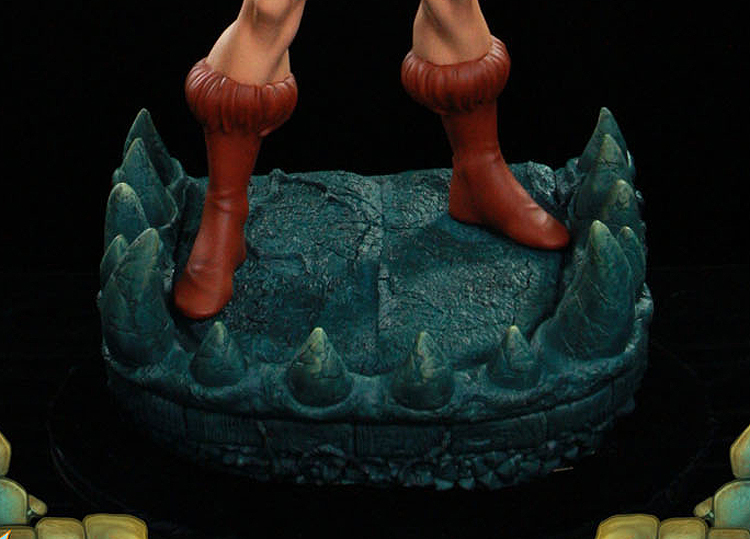 Standard edition (limit of 1000 pcs) will be available at all regular retail channels. 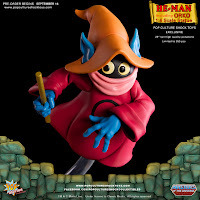 For the die-hard MOTU fan, there will be an exclusive version featuring that includes the inept wizard, ORKO, available ONLY via PCSC’s website.